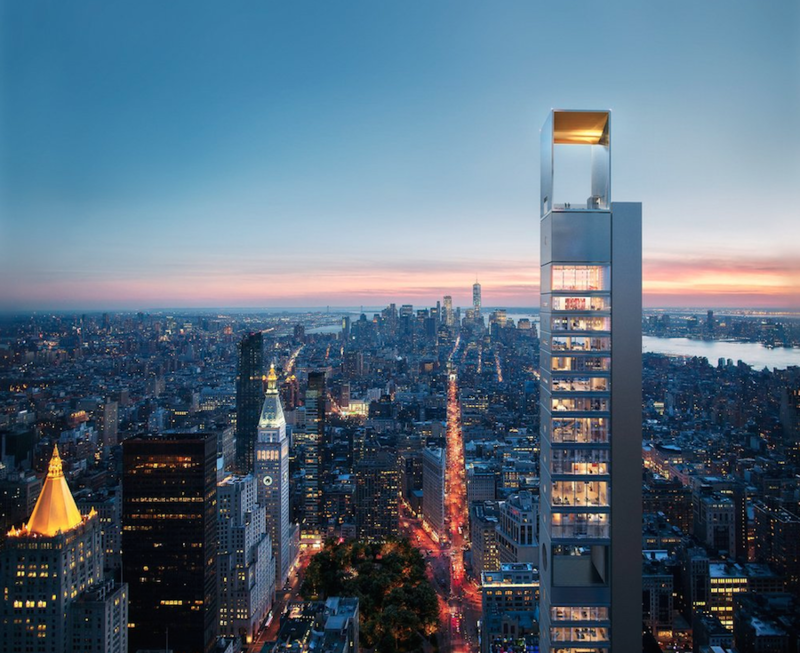 Moscow–based firm Meganom has just gained approval for the tallest project by a Russian firm in the U.S., a 1,001–foot residential supertall at 262 Fifth Avenue in Manhattan. 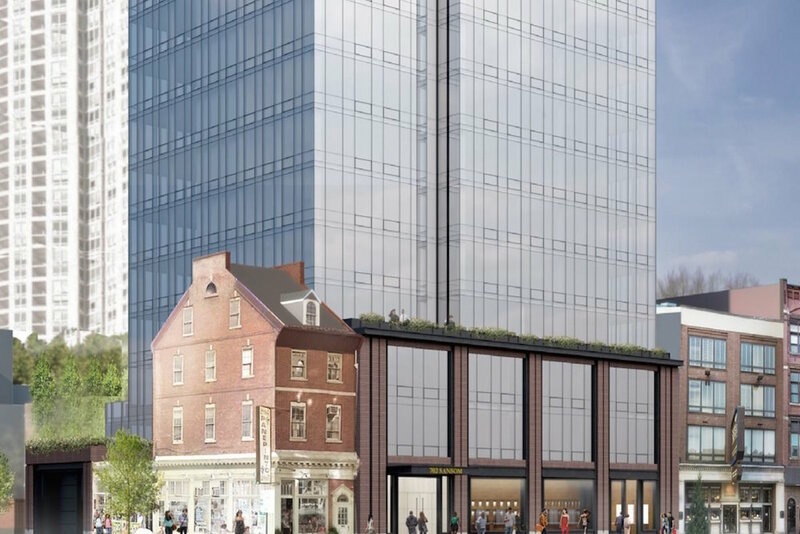 The New York City Department of Buildings (DOB) gave the go-ahead for the tower on Tuesday, just over a year after the application was filed. The developer behind the project is Boris Kuzinez of New York–based firm Five Points Development. Kuzinez has spent $102 million already on site preparations, but is still seeking a construction loan for the tower itself. The architect of record is SLCE Architects. Consulting for the exterior wall has been conducted with Front Inc., with facade maintenance by Entek Engineering. Renderings for the skyscraper show a lean silhouette of a building punctuated by two observation decks. 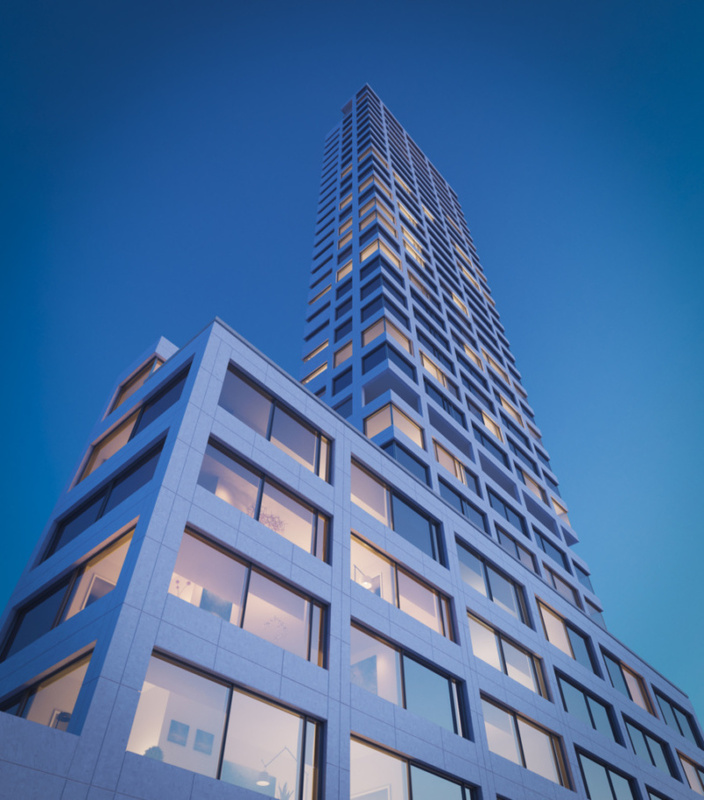 According to the designer, the apartment units, each measuring approximately 47 by 52 feet, will be anchored to an aluminum-clad column on the western side like shelves. All of the building's lift and mechanical systems will also be housed within this volume, allowing the residential space to be open and column-free. 41 apartments will be available in total, with floor-to-ceiling windows on the northern and southern facades. 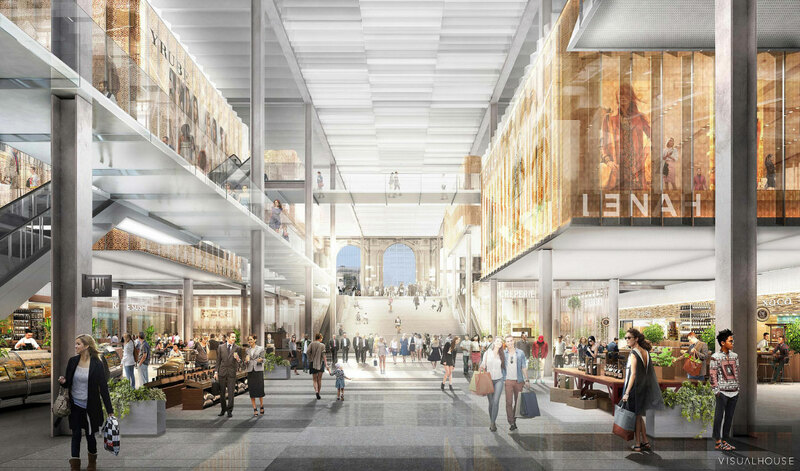 The design also accommodates customization: potential residents will be able to choose from a "library" of different layouts, with the option of purchasing full and multiple floors as well as portions of levels according to their needs. The building's top floor features a tall open space that offers 180-degree views to the north and south of Manhattan. According to the firm's website, the top observation deck can be reserved for private events by the building's residents. Triple-glazed windows facing north and south will stabilize the building's heating and cooling systems. Smaller, porthole-shaped windows will dot the building's eastern side. According to The Real Deal, a triplex apartment within the building could be worth as much as $75 million. Two structures on the site have already been demolished to make way for construction. A third structure at 260 Fifth Avenue will be preserved as part of the tower's base. There is no set timeline for construction. This is Meganom's first project in the U.S.